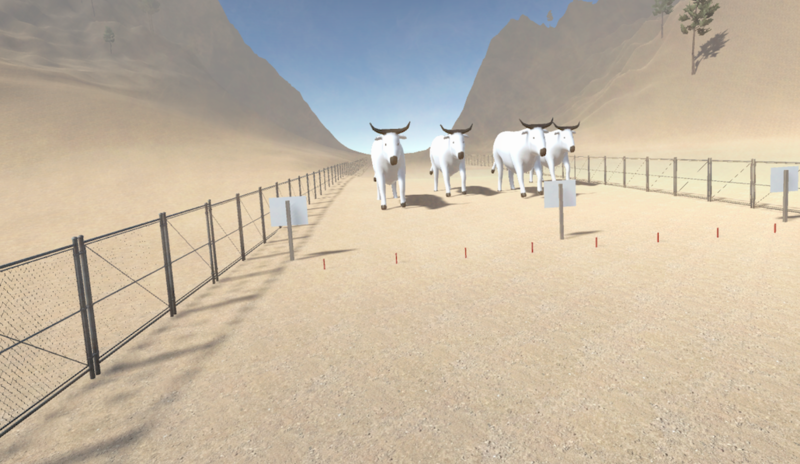 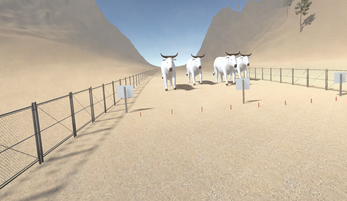 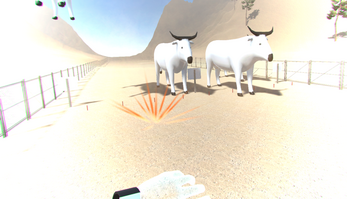 In DE-MINE, the player is charged with the task of clearing out minefields to prevent harm to the local animal life. 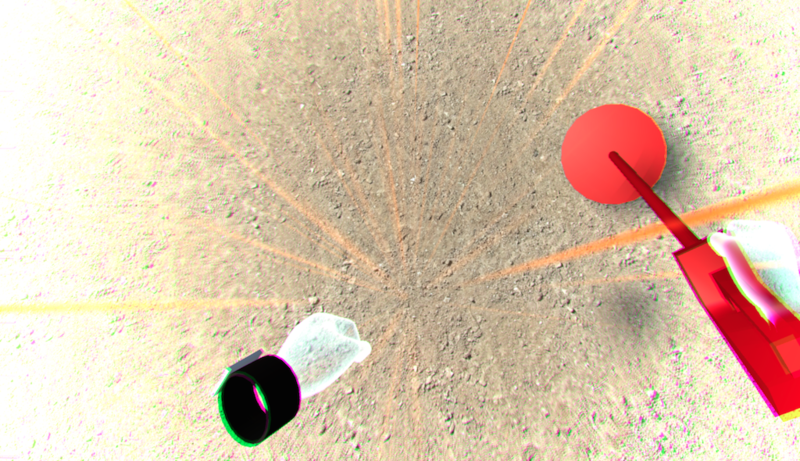 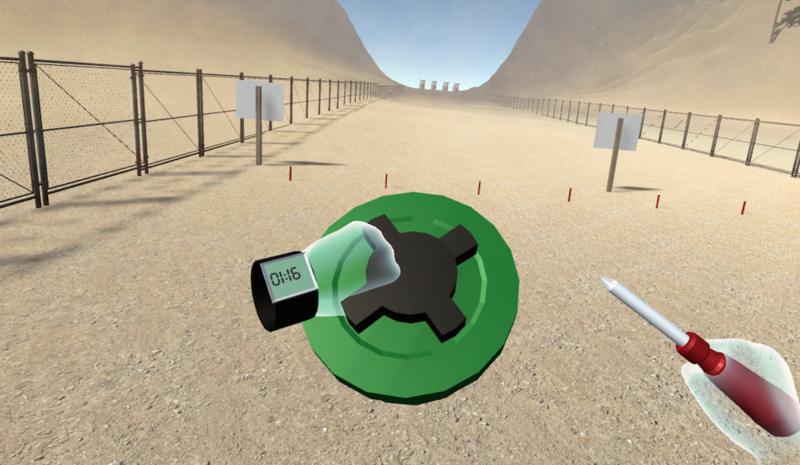 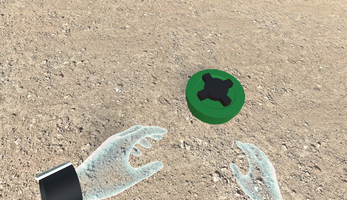 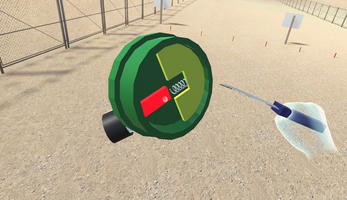 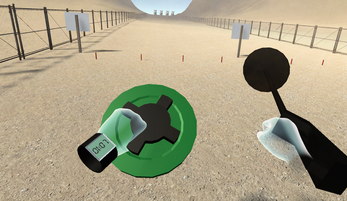 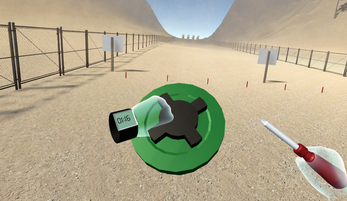 From the first person perspective, players experience the tension of navigating a dangerous minefield, removing the mines from the ground, and then carefully disarming them. Note: This game does not reflect the actual mine removal process so do not try this at home! The purpose of the game is to raise awareness of the millions of residual landmines throughout the world.